Nach wie vor sprechen internationale Rundfunksender noch mit einer starken Stimme auf Kurzwelle. Diese Einführung beschreibt auf 33 Seiten und mit 31 instruktiven Abbildungen sowie vielen integrierten Hörbeispielen, wie diese Kommunikation zwischen Sender und Hörer funktioniert. Anders als sonst, wird hier auch die Planung aufseiten der Sender berücksichtigt – und was wir Hörer davon haben. Schon das opulente Cover (siehe oben; Dank an Christoph Ratzer, OE2CRM!) zeigt, dass in diesem Thema weiterhin jede Menge Musik steckt! This 33-pager in German has been written as introduction into international broadcasting on shortwave. It covers frequency planning of the transmitters as well many aspects for us listeners. 31 illustrations and many sound example may make it digestible even for people who don’t speak German. Perseus & Markers: Great Tools for analyzing Propagation! 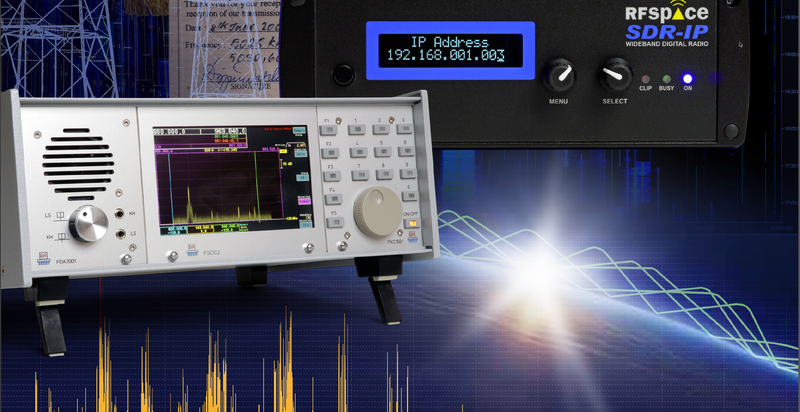 The Perseus SDR comes with a software, where you may define up to eight markers. Each of them measures the level of the signal at distances of 100 ms to 5 seconds and writes it into a CSV file. This is the base for further analyzing these data, i.e. propagation. 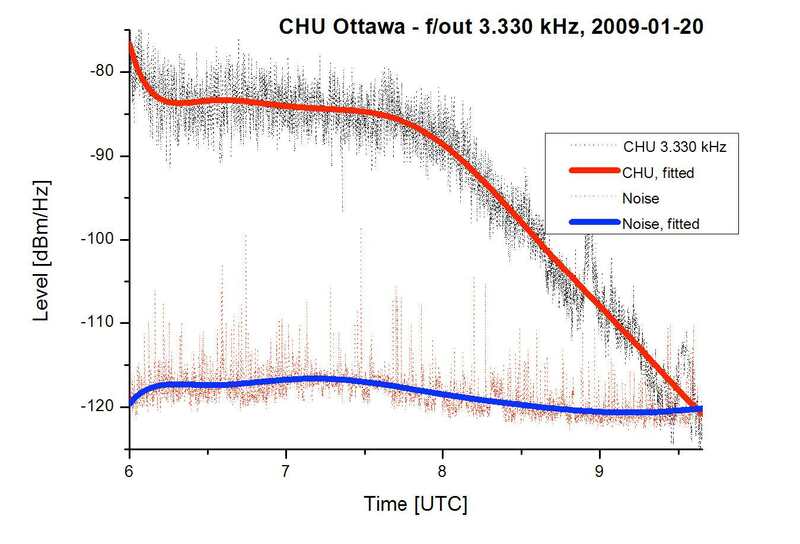 See such an analysis of the fade-out of CHU on 3.330 kHz on top of this page. With an (active) antenna delivering a constant antenna factor over specific range – as all professional antennas do, e.g. RF-Systems’s DX-1 – you may also switch to logging the field strength of the signal in dBµV, rather than the input level in dBm. 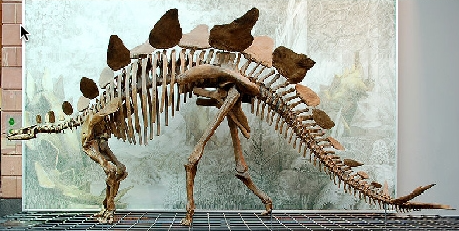 The first paper presents a general introduction into this concept. It has been translated into English by Guy Atkins. The second paper, in German, goes more into the depth of analyzing the data. But it’s 13 illustrations will make it under stable also to readers who don’t understand German. With it’s TitanSDR, Italy-based company Enablia has a new approach in SDRs: This receiver delivers up to 40 demodulated channels in different HF bands. Applications are numerous, e.g. checking GMDSS channels in different maritime bands (see above), monitoring many ALE channels at once, control broadcasters with all their parallel frequencies etc. This paper delivers on 26 pages and with 44 illustrations a detailed hands-on explanation of this new approach. It is enriched with some audio clips. It shows real-world example of receiving brodcast, amateur radio and utility stations. And it assists you in setting up a couple of decoders at once to monitor many channels in parallel. Caveat: Embedded multimedia content will only work with the most recent version of Adobe`s Acrobat Reader. And you have to save the PDF on your device (hard disk/stick), to make use of these multi-media. Read this paper, to get also some information on how to receive and analyze stations which even might be too weak to hear. It’s easy to look into the future of hobby receivers: just look on what the professionals are doing! Since the days of AEG-Telefunken’s E-1800, I do follow this advice. Where are the professionals yet better, and what may the amateur world see at their receivers the coming years? 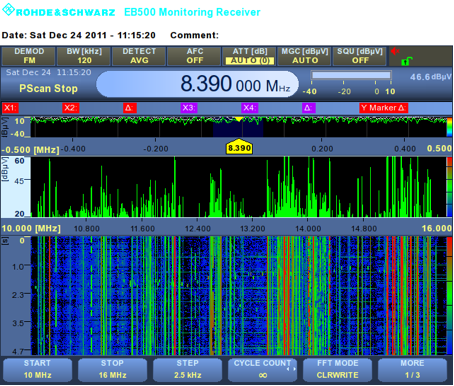 Hence, I was glad to test Rohde & Schwarz’ EB500 for some weeks; plus their professional decoder GX430. Even more, as I visited them in Munich and talked with some of their engineers. Alas, the resulting paper with 15 screenshots is written in German. But surely Google Translator will be your friend. Wie sieht die Zukunft der Hobby-Empfänger aus? Diese Frage interessiert mich seit den frühen 1980er-Jahren, als ich den damaligen weltbesten Receiver testete, den E-1800 von AEG-Telefunken. In welchen Punkten sind die Profis besser, und was können wir in der Hobbypraxis damit anfangen? Schließlich: Was kommt auf uns in den nächsten Jahren zu? Deshalb freute es mich, den EB500 von Rohde & Schwarz für ein paar Wochen zum Test gehabt zu haben – zusammen mit dem Profi-Decoder GX430. Mehr noch, denn ich konnte einige der Entwickler in München sprechen und so auch einige Hintergründe erfahren. Das deutschsprachige Manuskript des Tests: hier klicken.